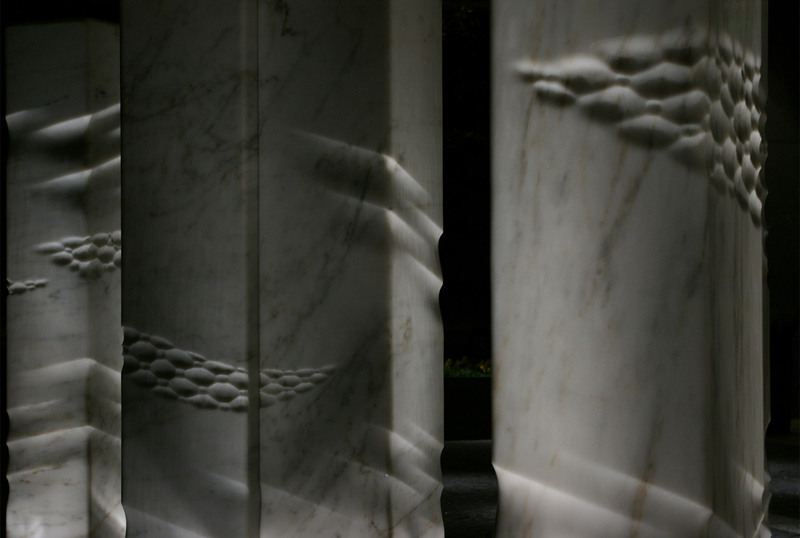 The design concept for this fountain is based on the traditional Asian folding screen, “byobu”. This fountain is placed in front of the main entrance of the hotel, acting as a divider between the entrance and the street. 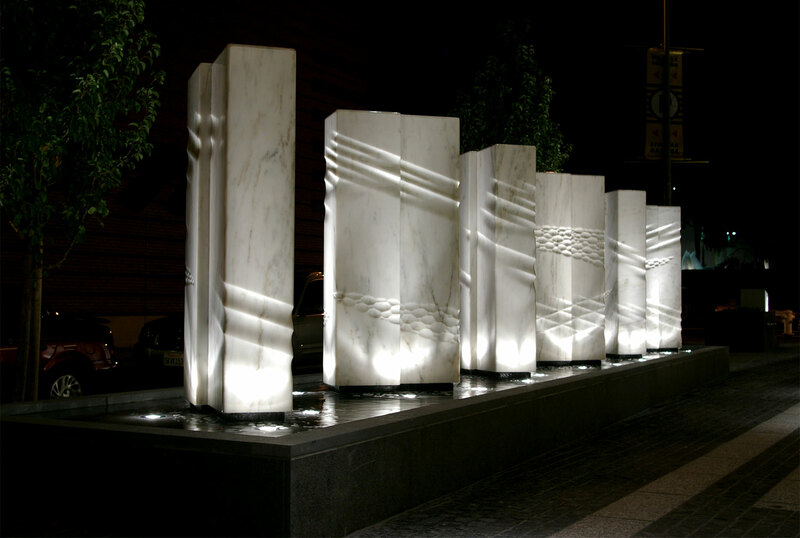 The fountain is made of 6 carved marble columns placed at shifting angles in a long trapezoid-shaped pool. 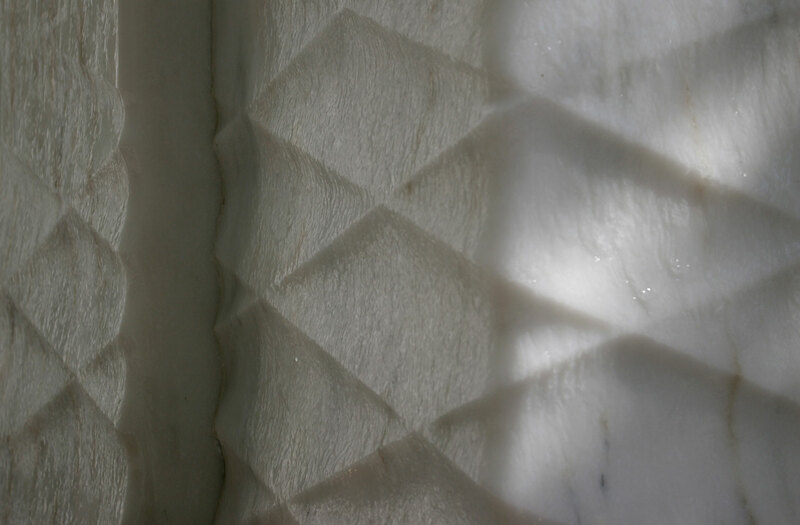 The columns are carved with varying relief patterns based on the images of water and wind. 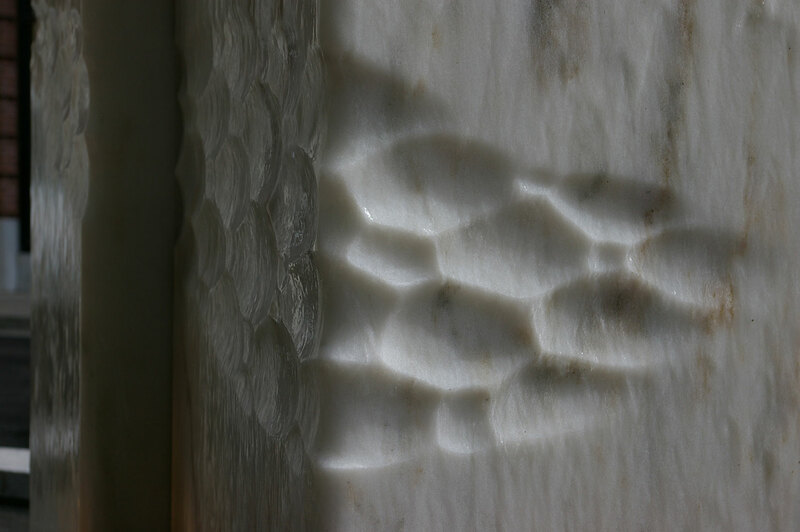 The artwork defines this space with the visual and auditory experience of water. Each column has water gently draping down on all sides into the pool below, creating the soft sound of falling water. 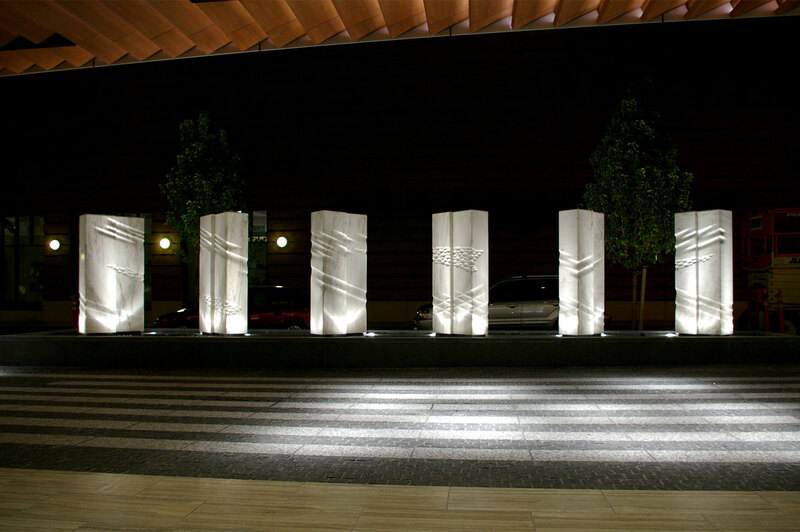 The columns are lit at night to create a dramatic focal point for the hotel’s entrance.